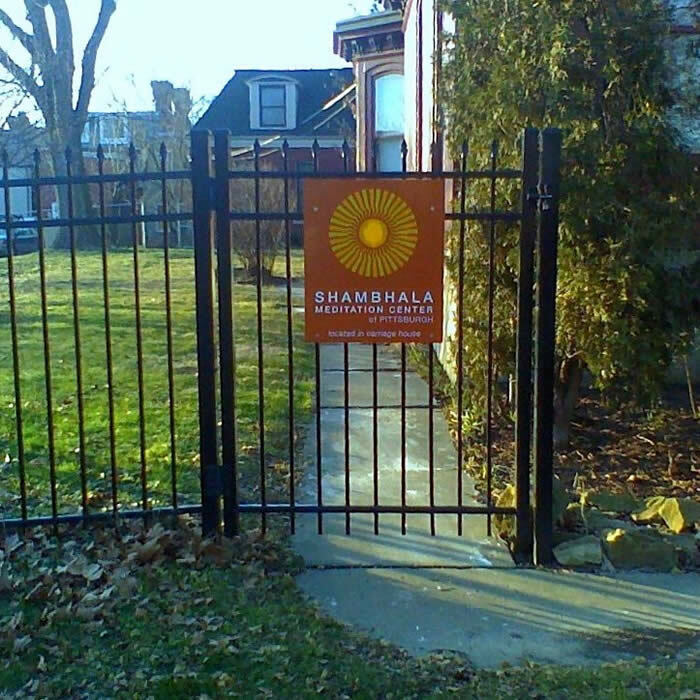 The Pittsburgh Shambhala Meditation Center began life as the Pittsburgh Shambhala Meditation Group in the Fall of 2008. We’re new and growing. We were officially recognized as a Group by Shambhala International on December 17th, 2008. In August 2011 we moved into a space of our own. 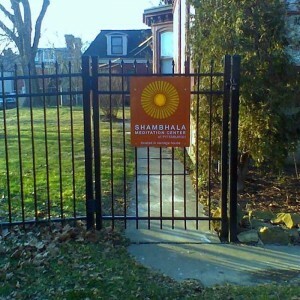 On January 18, 2012 we were authorized as a Shambhala Center. We are located at the border of East Liberty and Highland Park, across from the Pittsburgh Theological Seminary. We are in a 2-story former brick carriage house behind a 3-story brick Victorian house that is now the Western Pennsylvania Family Center, at 733 North Highland Avenue. Street parking is available on Highland Avenue after 6 p.m. and all day on Sundays, with additional street parking on neighboring streets. For those with mobility issues there is a small parking lot next to the Carriage House at the end of Supreme Way, the alley off Stanton Avenue. If using the lot, please be mindful of the proximity of our neighbors’ cars. We are wheelchair accessible and offer programs to accommodate everyone. Children old enough to play on their own have a space dedicated for them so parents can meditate too. 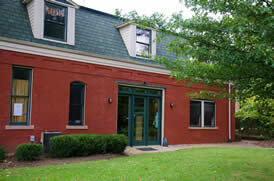 Click to see a video about our center. You can click the box at bottom right of the video to watch fullscreen. Detailed directions and accommodations information available here.